Course Information Overlooking the Hyuga Nada (ocean having strong and high waves)in front. 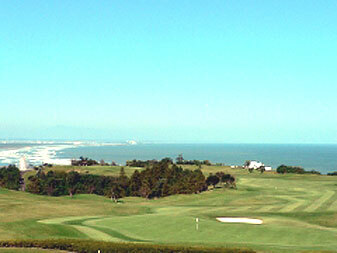 Seaside open country course laid on gentle hill. A beautiful course with andulated fairways and greens.Although it is a resort course in full of tropical atomosphere,very strategic course. It has played host to many proffesional tournaments. Driving Time 15 minutes from Miyazaki Airport, 5 minutes from central Miyazaki,30 minutes from Seagaia Resort.